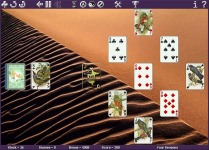 SolSuite 2003 is a high-quality collection of 360 different Solitaire Card Games with an excellent interface providing good graphics and animation. 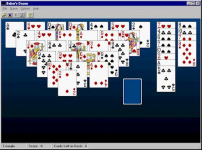 All your favorite Card Games are implemented: Klondike, FreeCell, Spider, Pyramid, Golf, Busy Aces, Canfield, Forty Thieves, Diplomat, Four Seasons, Poker Solitaire, Flower Garden, Rouge et Noir, Scorpion, Monte Carlo, Sultan, La Belle Lucie, Gaps ... and original solitaires that you cannot find elsewhere. Never play the same game twice as each Solitaire has more than 9 trillion (9,999,999,999,999) possibilities. 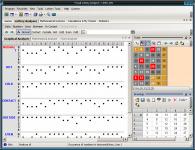 You can select a game number, customize cards, decks, backgrounds and the toolbar; select your favorite games; define card speed; associate sound effects... publish your `Overall Score` and your `Single Game Score` on the Internet and compare it with all SolSuite players around the world. 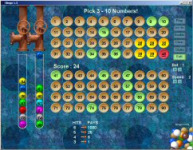 Enjoy the detailed statistics of each solitaire with graphs, 3D charts (pies and bars) and tables to eate your skill level (by total, current session, series of wins, players games won, players score, hi-scores...). 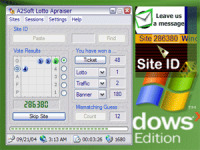 If you like solitaire games, then you`ll want to add SolSuite 2003 to your collection!